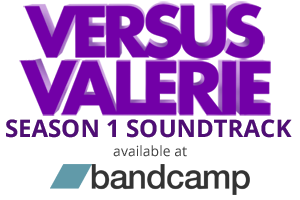 Welcome to the Versus Valerie soundtrack page. These tracks are added to our VsV Soundtrack playlist to the left and are also available for digital download through Bandcamp. We hope you enjoy this epic geek soundtrack.